African countries will continue to incur losses each year in the agricultural sector due to Aflatoxins if stringent measures are not put in place to curb the increasing threat of aflatoxins both on international trade and human health. While officiating at the 3rd Partnership for Aflatoxin Control in Africa (PACA) that is taking place in Dakar, Senegal, Moussa Faki Mahamat the chairperson of the African Union Commission noted that $670 million is lost each year to aflatoxin contamination, with countless lives lost to liver cancer — at least 5,000 yearly in Nigeria alone. Year in year out the contamination rates of aflatoxins in grains affecting the marketability of African grain. At least 25% of grains produced on the continent are contaminated. “Many African countries can’t export as many food products, especially the major crops of maize and peanuts, as they need to, therefore stake holders need to understand how big the problem is to find solutions,“ notes Dr Helder Muteia, a representative of the Food and Agriculture Organisation. 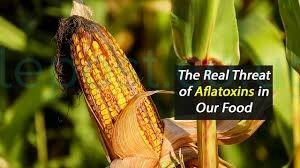 Aflatoxins affect staple foods like maize, gnuts sorgum, rice and cassava others and according to Dr Micheal Hailu the director Technical Centre for Agriculture in the African, Caribbean and Pacific group of states, Some crops can be contaminated can’t be used for animal feed, but much of it ends up destroyed”. 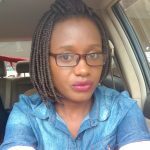 “Aflatoxins cause liver cancer and very bad in children yet most of the farmers don’t even know what brings it. Do you know that Africa had 77% of the global peanut export market, and today, the market is just 4%, due to standards in the developed world that some African countries don’t have the means to meet?. Dr Micheal Hailu posed. Therefore in this 3rd PACA meeting taking place in Dakar Senegal the African union members states tend to seek answers on how best they can scale down of the aflatoxins and which approach would give results. “In Uganda we have tried as much as possible to educate farmers and also monitor the whole value chain from the type of seeds planted, post-harvesting to processing and we are certain it will work for us,” notes agriculture minister Christopher Kibanzanga.